Some of the people we induct into the Zeljko Ivanek Hall of Fame are actors who most people would instantly recognize because of their long, prolific television careers, or character actors remembered in particular for one stand-out main cast role in a much-loved television show. Some however, are less well-known, and can only be pinned down by most people as “the guy who played” one character from a couple of episodes of a couple of shows. Well, Marl Pellegrino is one of the latter, but I think if you’ve watched a lot of television in the ‘00s, you’ll likely recognize at least a role or two he’s played. In particular, he has appeared in one all-time recurring role of a character much better remembered by name than for the amount of screen time he gets in the seven episodes in which he appears. But we’ll get there. First we start at the beginning. Pellegrino’s first IMDB credited role is as “punk” in an episode of L.A. Law. Next was an appearance in TV movie What Price Victory, followed by one-shots as “Dude” in Doogie Howser, M.D., an episode of Hunter, and as “Punk” again in a Tales From the Crypt. He ran through the entire decade of the ‘90s appearing in single episodes of many television shows, some of them popular, including, Northern Exposure, something called The Hat Squad, The Commish, Viper, Renegade, Deadly Games, ER, Nash Bridges, The Sentinal, Brimstone, and The X-Files. In X-Files episode “Hungry” he played a murder suspect, Derwood Spinks, who gets eaten by the true murderer and self-hating monster Rob Roberts. He also appeared in TV movies Class of ’61, Knight Rider 2010, The Cherokee Kid, and Born Into Exile. His best known role of the decade, however, may have come as an unnamed blond Jackie Treehorn thug in The Big Lebowski. He dunks The Dude’s head into the toilet and drops the bowling on the tile, breaking it, towards the beginning of the film (“Where’s the money Lebowski?,” he asks). In the ‘00s, Pellegrino’s career began to pick up with some recurring roles. He was in three episodes of The Beast and four of NYPD Blue. He was in single episodes of The Practice, The Unit, Burn Notice, and Grey’s Anatomy, and two of Without a Trace, along with TV movie NYPD 2069. In 2006, he got the first television role for which he’s frequently recognized. 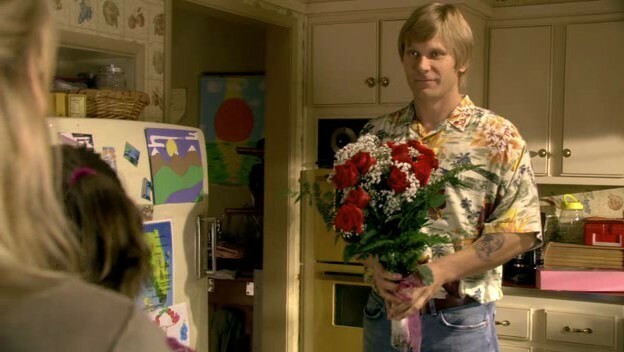 He played Rita’s sketchy ex-con ex-husband Paul Bennett in eight episodes of the first two seasons of Dexter. Bennett is extremely possessive, and after he gets out of jail he comes looking for Rita and her new boyfriend, who is, of course, Dexter. Bennett was an abusive husband who beat and raped Rita, which got him to jail in the first place. Rather than simply kill him, per Dexter’s m.o. Dexter sets him up with some heroin and gets him shipped back to prison, where Bennett gets killed in a prison fight. After getting killed off on Dexter, Pellegrino spent some more time as a TV nomad. He appeared on episodes of Women’s Murder Club, K-Ville, Knight Rider (remember that reboot? ), Criminal Minds, Fear Itself, Ghost Whisperer, The Philanthropist, and The Mentalist, and two each of Prison Break and CSI. Soon, though he was to land his next extremely recognizable recurring character as the infamous Jacob from Lost. I don’t even begin to actually understand much of Jacob’s story, but he was a legendary figure talked about and heard but not seen long before his backstory was revealed. Jacob was the long-time protector of the island. He had a centuries-long feud with his brother, the nefarious Man in Black who also took the form of the Smoke Monster, and also killed their mother (Yes, Lost makes absolutely no sense; as someone who watched most of it, I can’t even imagine how ridiculous this sounds to someone who has seen none of it). Jacob was worshiped by Ben Linus, he was the one who made Richard immortal and he eventually anointed a successor to his place from among the survivors of the Oceanic crash. Pellegrino was in TV movie Locke & Key (as Locke), a CSI: Miami, and a Breakout Kings, before guest-starring in six episodes of TNT hit The Closer as Gavin Q. Baker, a lawyer who represents Brenda in whatever the Turrell Baylor lawsuit is. He’s described by Wikipedia as flamboyant, astute, clever, and brutally honest. He appeared in two Chucks and a Castle. 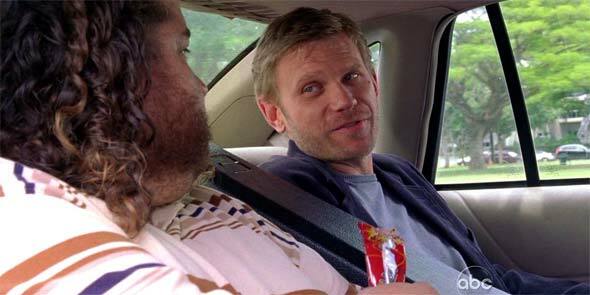 He got a pretty choice recurring role as Archangel Lucifer on Supernatural. He has appeared in that role for 10 episodes over the course of seasons 5 through 7 and is the primary antagonist of season five, when, after breaking out of his prison in hell, he attempts to get Sam to be his vessel who he can inhabit (I don’t really know what that means either. Maybe I’ll watch you one day, Supernatural). He appeared in the TV movie Hemingway & Gellhorn and in episodes of Grimm and Person of Interest. He was a main cast member in the first season of the American Syfy remake of British supernatural show Being Human, in which a ghost, a werewolf, and a vampire live together and try to make it in modern day society. He played James Bishop, a vampire, turned in the 15th century, who now works in the Boston Police Department. Pellegrino played Jeremy Baker, a member of the Monroe Militia in four episodes of Revolution. Currently, he’s starring as the antagonist in the CW’s The Tomorrow People, about a near-future where some people have genetic super powers. He plays the head of the villainous government organization Ultra, charged with rounding up and disabling all the people with genetic mutations. Before, he may have just seemed to be “the guy who played Jacob in Lost,” but he’s so much more. 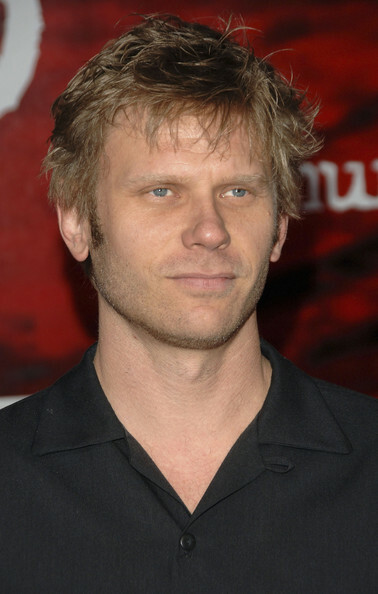 Welcome to the Zeljko Ivanek Hall of Fame, Mark Pellegrino.